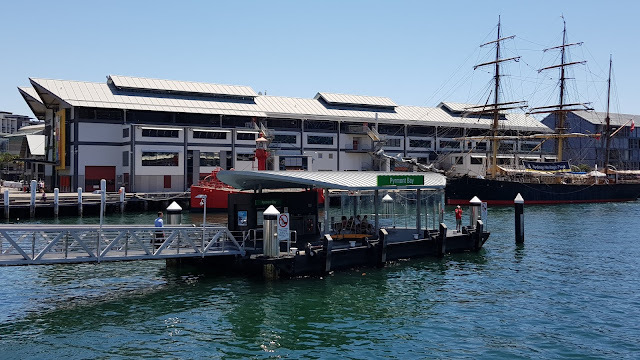 The Pyrmont Bay ferry wharf is on the western side of Darling Harbour, in the inner city suburb of Pyrmont. 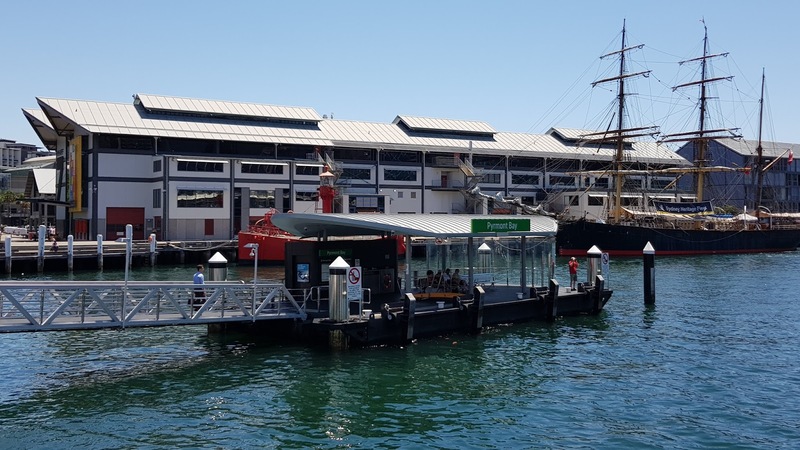 It was built in 2015 and is serviced by Sydney Ferries with services operating to Barangaroo and Circular Quay. The James Craig is a Tall Ship moored outside Wharf 7 of Sydney Wharf, as part of the permanent display of the Australian National Maritime Museum. The 19th Century square rigger was restored to full sailing condition in 2003 and regularly goes to sea with 80 passengers. Linked to: Signs, Signs, Fences Around The World, Travel Photo Thursday. The James Craig would certainly draw my attention, Jim. Martine, I'm happy to help you discover it. Nice looking waterfront. Great capture! I like seeing tall ships.